A refinement of the an earlier commission to create folding furniture for a compact urban garden. This version is slightly smaller to better suit the scale of its location and the table has inset legs to allow more knee space. Both the table and bench have the same structure with diagonal braces spanning between the central cross beam and the base of the legs. 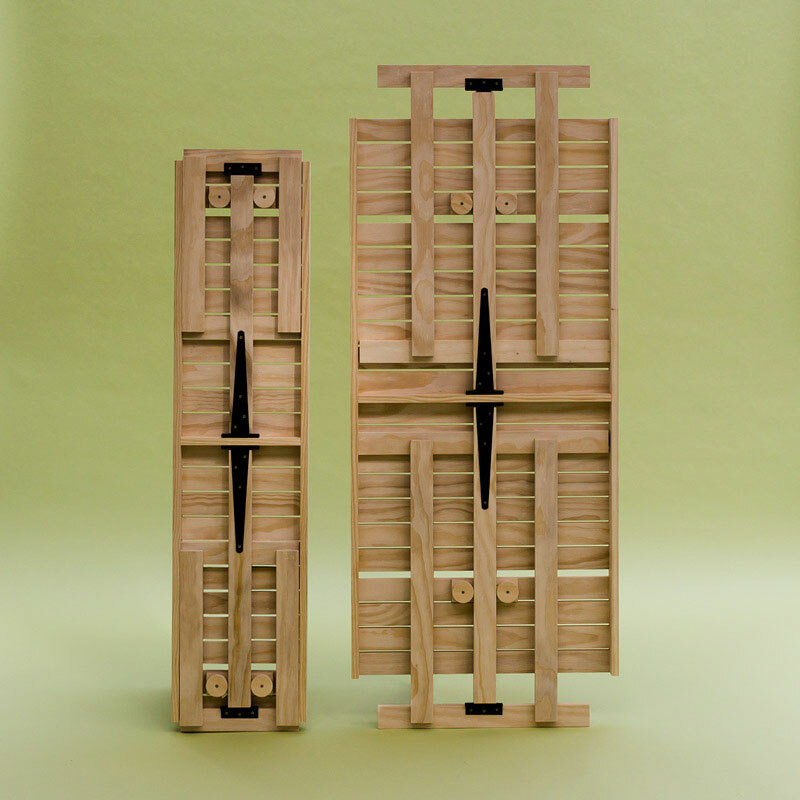 Two pairs of timber circular turns lock the legs and brace closed when they are folded, and also hold the legs in position when they are opened. 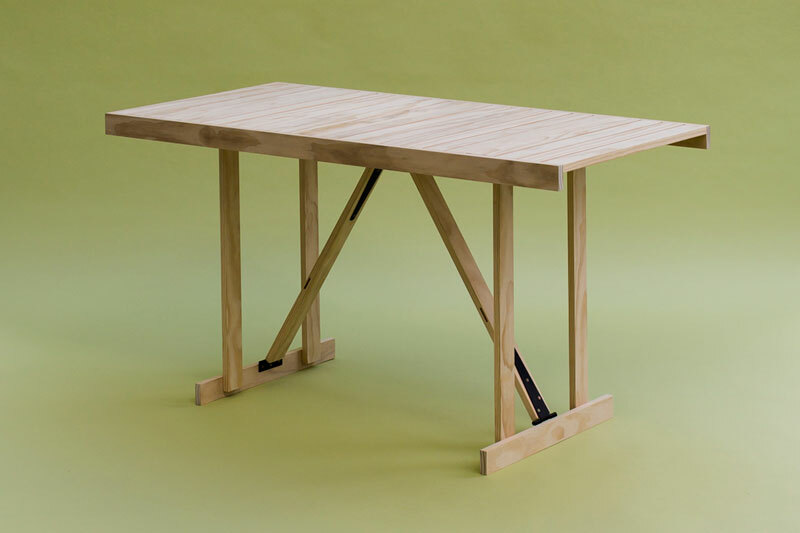 Both table and bench are robust and sturdy, easily folded and unfolded. The slatted timber tops allow water to drain from the table surface and the heat treated timber enables them to be left outside without rotting.